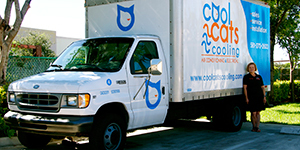 Cool Cats has been specializing in residential and commercial cooling systems since 1963. We provide well-designed and efficient HVAC systems that will meet the exact needs of any residence, from single-family homes to condominiums. Our technicians carry and are trained to service ALL brands of equipment.